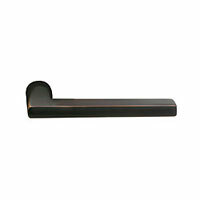 - Ships with 2 1/4" tall standard strike. 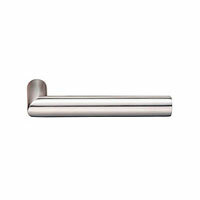 Maximum door thickness for double cylinder handleset is 2 7/8"
- Complete set. 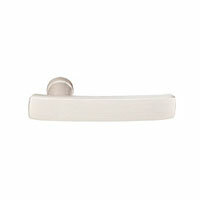 Includes knobs and backplates for both sides of the door, latch and strike plate and mounting hardware. 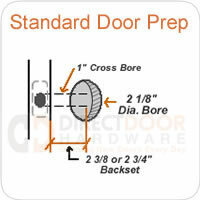 - Standard 2 1/8" Bore, 1" Crossbore and 5 1/2" CC door prep. - Shipped with square corner mortise plates and strike plate. 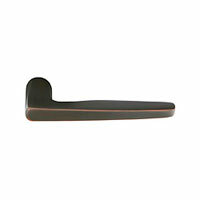 Rounded corner available upon request. - Backset must be specified upon order placement. Choose between standard 2 3/8" or 2 3/4" backsets. 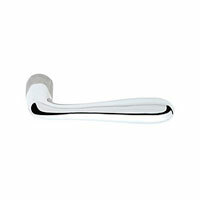 **Additional Emtek Brass Interior handles may be available. Call for availability. Emtek single cylinder handlesets are locked/unlocked with a key from the exterior and locked/unlocked from the inside of the home with a thumbturn. Single cylinder handleset are by far the most popular function of handle set. 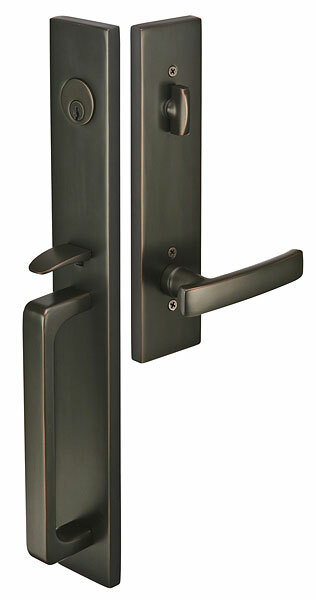 Emtek double cylinder handlesets have a keyed lock on both sides of the handleset. This means that to exit or enter the door you must have a key to unlock the door. Some people use double cylinder handlesets on glass doors where they are concerned that someone may be able to break the glass and unlock the door from the inside. The disadvantage of using a double cylinder handleset is that in the event of an emergency you would have to locate the key to unlock the door and get out of the building. 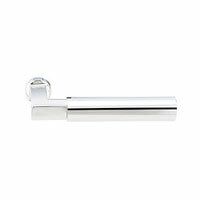 For this reason we recommend the single cylinder handleset for most applications. 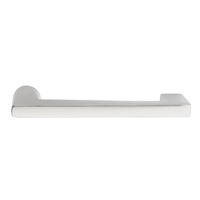 If you have a double front door where one side is generally inactive while the other is always active, you will need a combination of two handle sets. 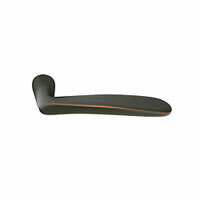 For the active side, you'll need a single or double cylinder handleset. 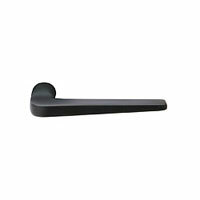 For the inactive door, you'll want to order a dummy handleset. 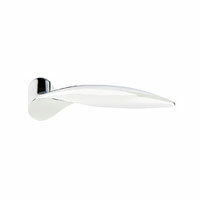 This gives you the look of a complete working set, but doesn't have all of the mechanisms - perfect for an inactive door. Emtek offers an interconnect device as an available option for their active handlesets. 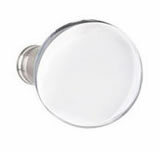 The interconnect device connects the interior lever or knob with the deadbolt on an emtek handleset. When you turn the knob or lever the interconnect device retracts the deadbolt simultaneously to unlock the door. This is just an added convenience that is available, but not required. The best hardware I've ever had. Great construction. No hang ups common with lesser quality hardware. Smooth action. No complaints here. Just installed! Love it! Great looking. 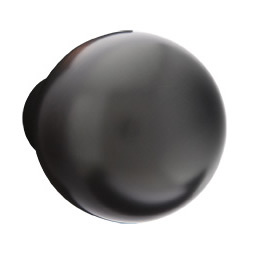 Has presence--very heavy and distinctive. We are very happy with our purchase. 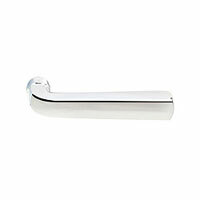 We have a quality, well built, good looking front door hardware. The packaging was perfect. Good experience with everything. 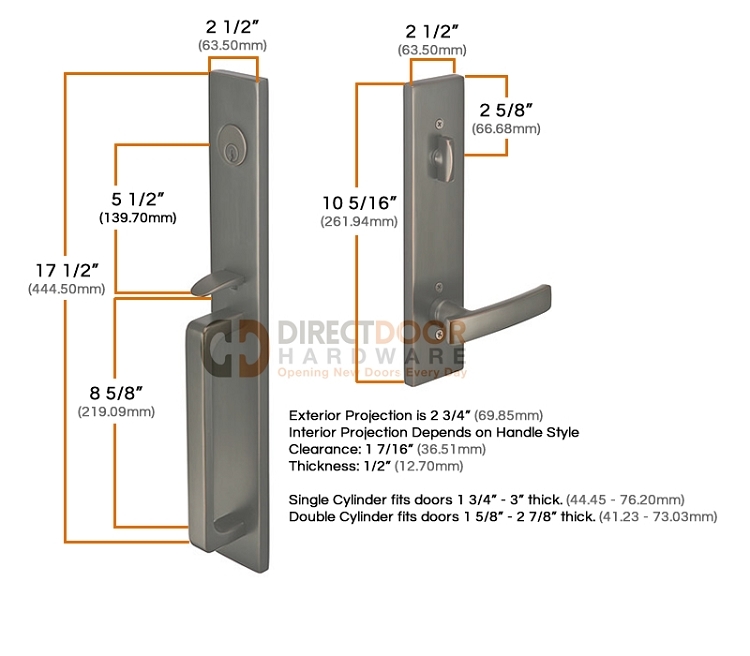 If I purchase this whole set and a separate doorknob and thumb turn can I use them instead of the integrated interior plate?